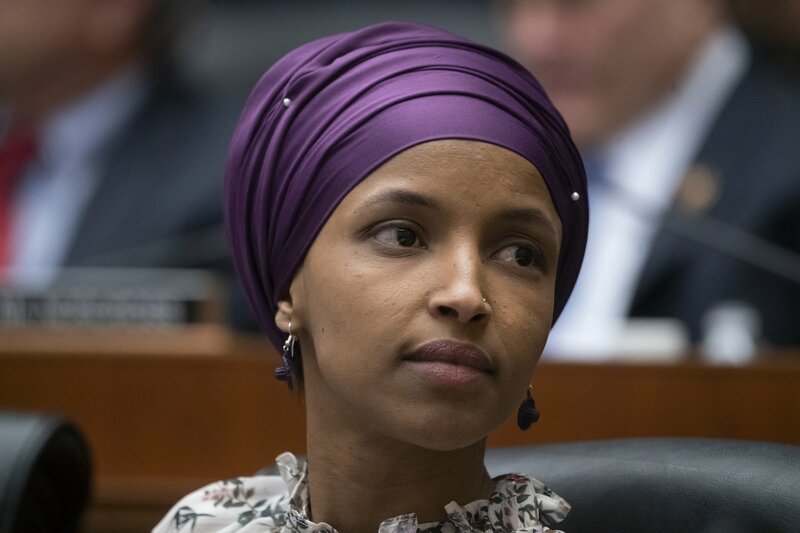 WASHINGTON — President Donald Trump is not trying to incite violence against Rep. Ilhan Omar, the White House said Sunday, arguing that the president has an absolute duty to highlight what the Minnesota Democrat’s own critics say is her history of anti-Semitic and other divisive comments. Press secretary Sarah Sanders added that Trump wished no “ill will” upon the Muslim congresswoman. Leading Democrats criticized Trump, with some accusing him of trying to incite violence against Omar, after the president retweeted a video on Friday that was edited to imply that the freshman lawmaker was being dismissive of the Sept. 11 terrorist attacks. The video included a snippet from a recent speech Omar gave to the Council on American-Islamic Relations, in which she described the 2001 terrorist attack on the World Trade Center as “some people did something,” along with news footage of the hijacked airplanes hitting the Twin Towers. Neither Trump’s tweet nor the video included Omar’s full quote or the context of her comments, which were about Muslims feeling that their civil liberties had eroded after the attacks. The tweet led Trump’s Twitter feed early Sunday afternoon with more than 9 million views. Sanders questioned why Democrats weren’t following Trump’s example and calling out Omar, too. Democrats who criticized the president over the tweet defended Omar. Some noted their past disagreements with her.